Which consumer credit application should I complete? This depends on any existing authorisation with the FCA and the permissions you require to fit your model of business. A typical dealer will complete either a ‘variation of permission’ application (VOP) if they are currently directly authorised by the FCA or a 'limited permissions' application if they are currently an Appointed Representative for Insurance Mediation purposes or do not sell any regulated insurance products. If the authorisation required is just for Consumer Credit (VOP / full / limited permission), you must complete the application on the FCA’s online system ‘Connect’. If you require permissions for both Consumer Credit and Insurance Mediation simultaneously then 'Connect' cannot be used and an application should be built following the guidelines on the FCA website. What is a regulatory business plan? A regulatory business plan demonstrates to the FCA that you have a complete outline for your model of business, what channels you will use to communicate with customers, your financial projections in terms of regulated and non-regulated business and that you have identified any risks and have systems and procedures in place to mitigate those risks. The plan should be updated on a regular basis. What is a compliance monitoring programme? This is a continual programme of process and procedures that manage the regulatory requirements and potential risks in the business and provides accurate data and MI for review by senior management in order that appropriate action can be taken. I have completed my application, what happens next? Once your application has been submitted, the FCA will appoint a case worker to consider the application and work with you to ensure that the permissions you have requested are correct and agree to any limitations that can be set. Your application will be classed as incomplete until all the information required by the case worker has been submitted. Once the case worker is satisfied, the FCA will conduct their relevant checks and you will receive notification of approval. This approval will then be added to the financial services register. Without authorisation from the FCA you cannot transact any Consumer Credit business including brokering to finance companies and assisting customers with their existing finance settlements. Can I just stop selling finance? This is always a business choice but potentially short sighted when it may take just small changes and a little focus to ensure FCA requirements are in place. You should also recognise that Consumer Credit authorisation is required for Debt Adjusting and Debt Counselling in order to facilitate the settlement of existing finance on part exchange vehicles. This professional move towards a stronger, more effective regulatory approach by the FCA should have positive outcomes in the industry in terms of reputation and best practice. An effective compliance programme and culture, which ensure a customer is advised on F&I products in a competent and adequate manner, has been proved to have a positive effect on performance and profitability. How do I evidence that my business meets TCF requirements? The evidence required for this stems first from identification of fair products and services, evidence of a sales process that ensures all customers are being treated equally and given the time to understand what they are purchasing in order to make informed decisions, a commitment to ensuring that all communication is clear, fair and not misleading and an understanding of how to monitor and measure these outcomes and make changes when necessary for the benefit of the customer. Without authorisation you cannot sell finance and insurance or facilitate settlements on existing finance with a customer. Once you have submitted your application you have stated that you have all the stated requirements in place. The FCA can ask for evidence of this at any time. The FCA has powers to impose fines, withdraw authorisation and in extreme cases imprison those responsible for non-compliance. The FCA has committed to using ‘Credible Deterrence’, essentially meaning that reputation can be damaged if they find that a firm is guilty of misconduct. What powers does the FCA have? The FCA has powers to impose fines, withdraw authorisation and in extreme cases imprison those responsible for non-compliance. How can i-Comply make a difference to my business? 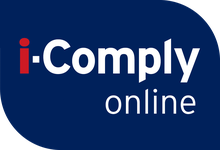 i-Comply online’s team of industry experts can help tailor a compliance programme that works with your model of business. We will work with you to establish your needs and assist in the design and construction of processes and procedures which will enhance your business, provide all the evidence required for the FCA and maximise the resource you already have in place so that the financial burden of compliance is minimised and the effect on performance maximised. Should I recruit a compliance person in to my firm? This is without doubt an important area and will continue to be so in to the future. Recruiting for this role is a possibility and i-Comply would be happy to assist you in this activity and to train the individual if required. However it should also be noted that using i-Comply online to meet your requirements may prove more financially beneficial as you will gain from the economies within our firm, the business continuity plan that working with us will guarantee and the professionalism and expert knowledge of our team. How can I measure and evidence competence? This is always tricky and often missed, unlike training which is generally assessed, competence shows that the training is being used and put in to action, a key focus of the FCA. i-Comply online can assist with templates and training in this vital area. The rules are all detailed in the FCA handbook and detailed under sourcebooks such as ICOBs, ConC, SYSC, TC, DISP etc. For assistance in understanding these rules further, please don’t hesitate to contact us. Why should I choose i-Comply Online? The motor industry is built on relationships and that creates the core ethos of our business. Our experienced industry consultants will work with you to find the right compliance answers for your firm and act in partnership with you to ensure objectives are achieved.